If you read blogs, you've seen all the roundups that happen this time of year. It's fun to see old favorites and find new inspiration from some of my favorite bloggers so I thought I would post my far and away most popular recipes of the year (late, of course, in typical Anne fashion). Dark Chocolate Sweet Rolls (an updated Brioche Raisin Snails, my favorite Dorie recipe ever). If there was such a thing as a TWD Final Project, I would present these. Pastry Cream, something I couldn't ever get quite right before Dorie, is now my best friend. Brioche dough- rich, delicious, and suprisingly simple. Chopped, high quality chocolate (a Dorie must) and a beautiful glaze for presentation. I learned a lot from Dorie and it was fun to take the new skills and tricks and recreate/reinvent my favorite thing I ate in France using them. 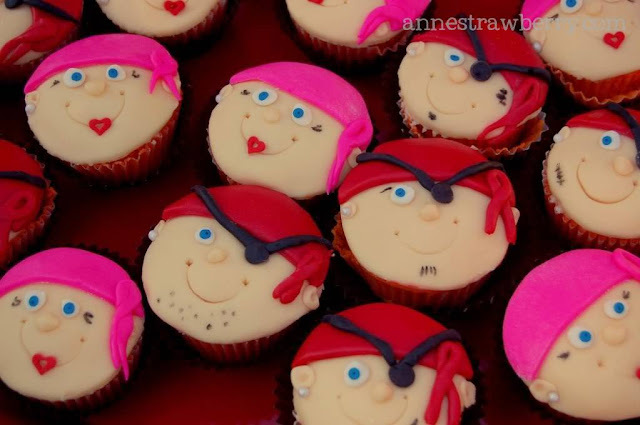 Marshmallow Fondant Pirate Cupcakes- it's like playdoh for grownups. If you can use a mixer, a rolling pin, and a cookie cutter- you can do this! And my most viewed recipe, Peppermint Bark Cheesecake. This was my first Tuesdays with Dorie recipe pick and I made it for a baby shower that I was so busy hosting- I forgot to bring my camera! The pictures are meh but the cheesecake is divine. 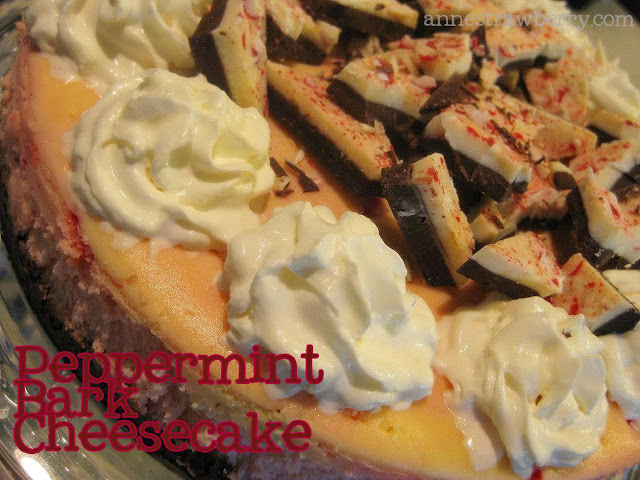 I should go see if there's still any peppermint bark to be had and make it again, it's worth it! Everything in your roundup looks so delicious and inspiring (especially the fondant - I'd love to try that sometime). I added you on Pinterest and even pinned a few of your creations! Happy 2012! it all looks soooo scrumptious!! I am scared to make the Texas Sheet Cake becuase it looks so good. I am going to find you on pinterest! is very and good interesting post keep the good work. Your site is so beautiful. 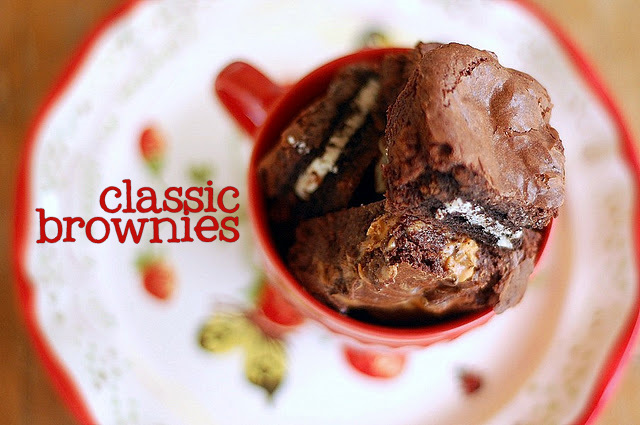 It is exactly what a food blog should be! Fun, pretty, and bring a smile to the face! 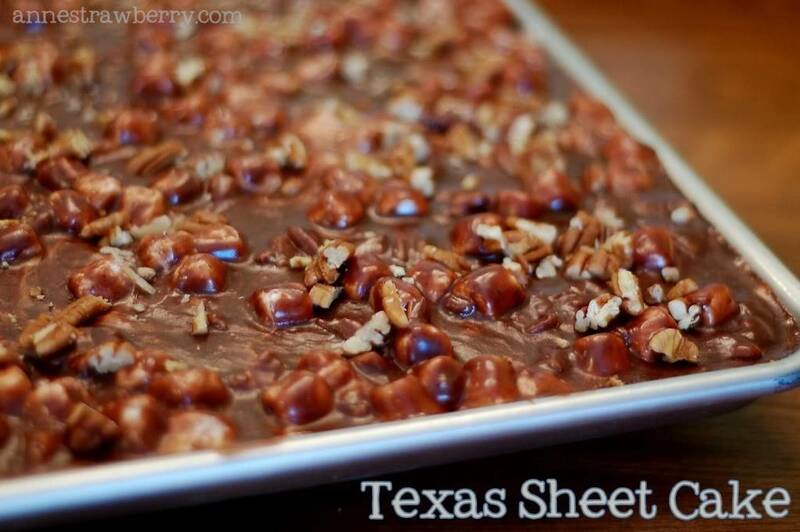 Texas Sheet Cake, makes me think of Grandma - yum!